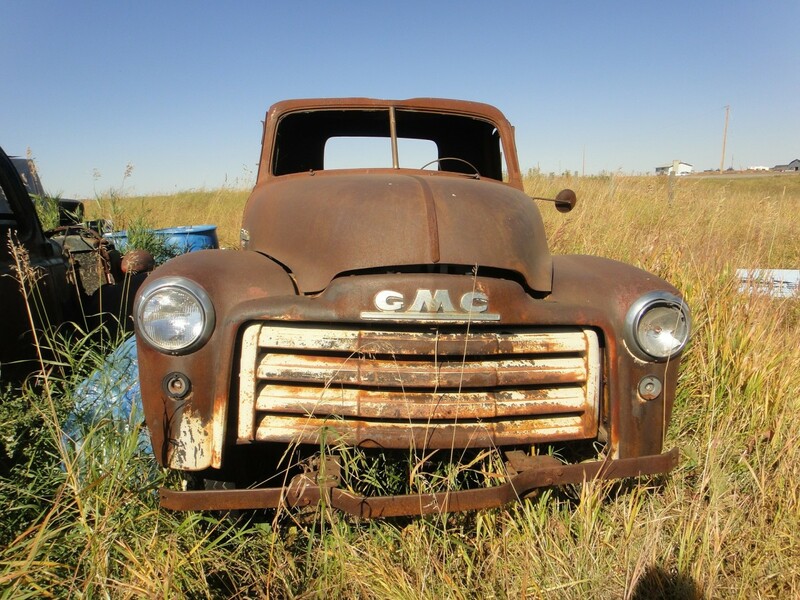 I am having an issue with my rusty old truck. It has always run well, and it never had any problems. The other day, I opened the hood and noticed some fuzzy yellowish white stuff on top of the battery. It wasn't much, but it was enough that I noticed. I topped up the washer fluid and closed her up. I also plugged it in as it was supposed to get cold that night. 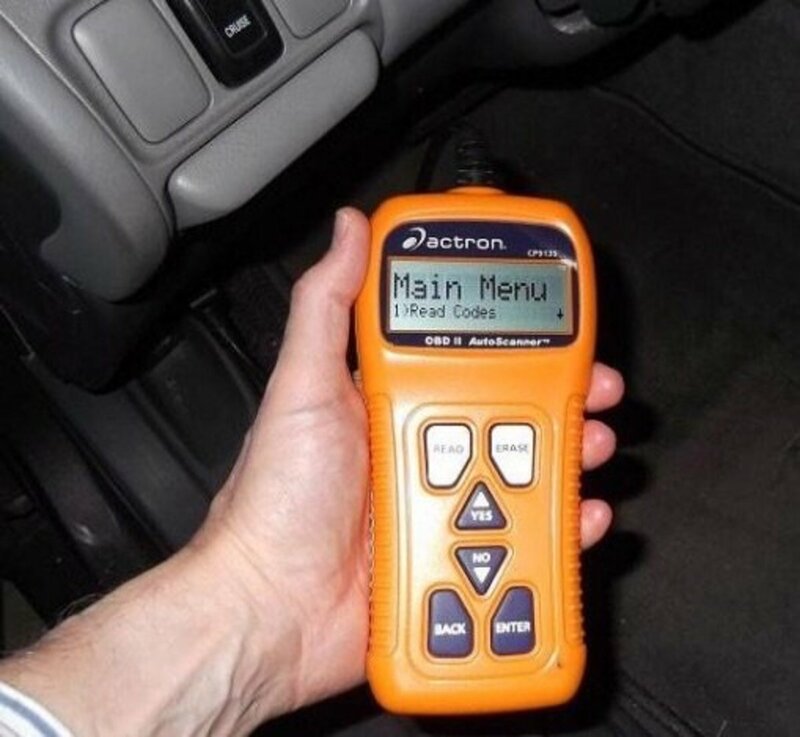 The next day, while I was out and about, I tried to start my truck. The dashboard lights came on (not sure about headlights, etc.) but nothing else happened. I did not hear anything. There was no struggle and no clicking sound. I tried a couple times, an eventually it started up as it normally would. What are your thoughts? I need my beater but I am nervous about getting stranded. First, thank you so much for asking your question. 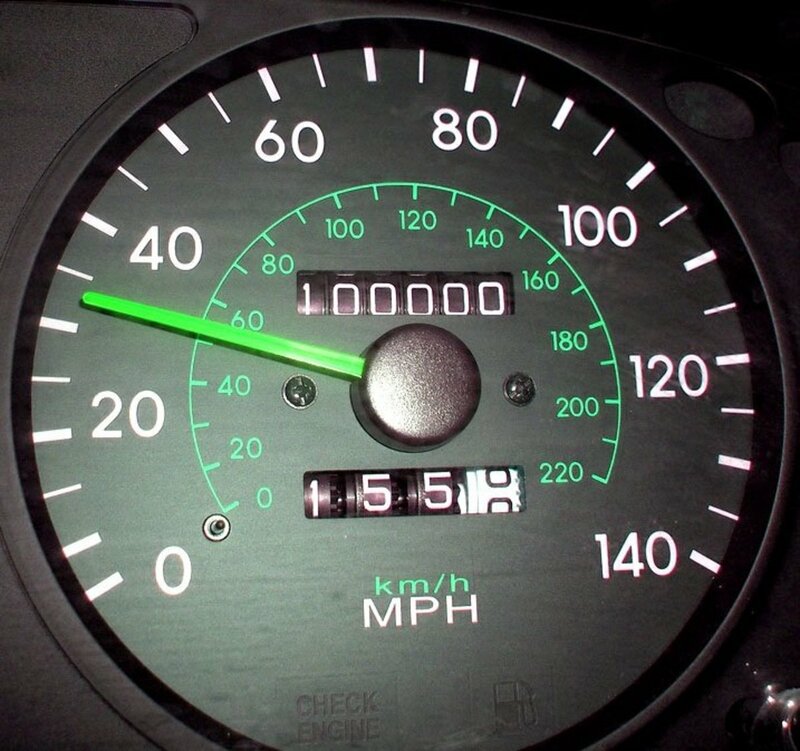 Second, thank you for owning an old rusty truck! Those are some of the most fun automobiles to own, drive, and work on, especially if you're mechanically minded. That being said, old rusty trucks don't provide all that pleasure without plenty of pain. It's usually a pain in the gas tank, but occasionally you'll run into little maintenance issues like these, that can cause big problems. 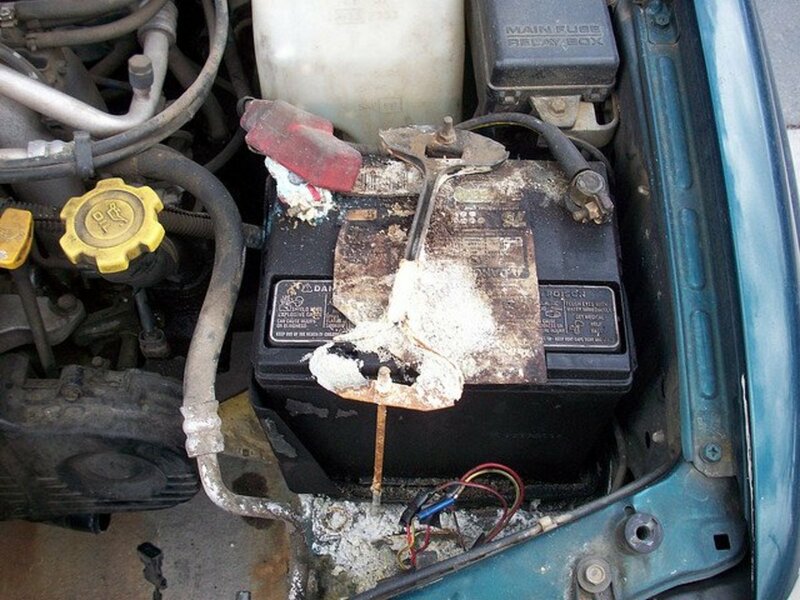 In this instance, that yellowish-white stuff you've found on your old battery is corrosion. Thankfully, corrosion is easily taken care of with a few simple steps and some regular maintenance. First though, let's talk more about that corrosion. 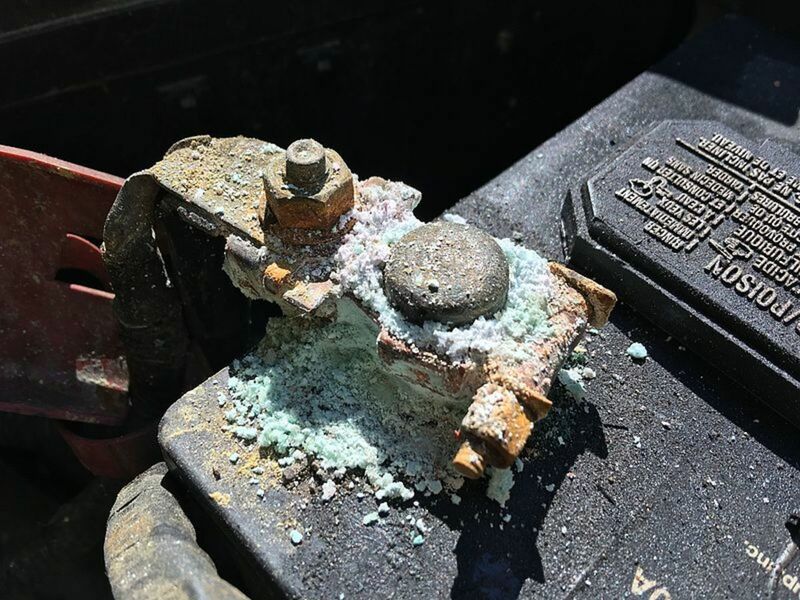 If you find that your vehicles battery has a buildup of blue, bluish-white, white, yellow or yellow-white powder around the terminals, posts or cell tops, what you have is corrosion from the reaction of the sulfate in the battery with the lead in the terminal posts. 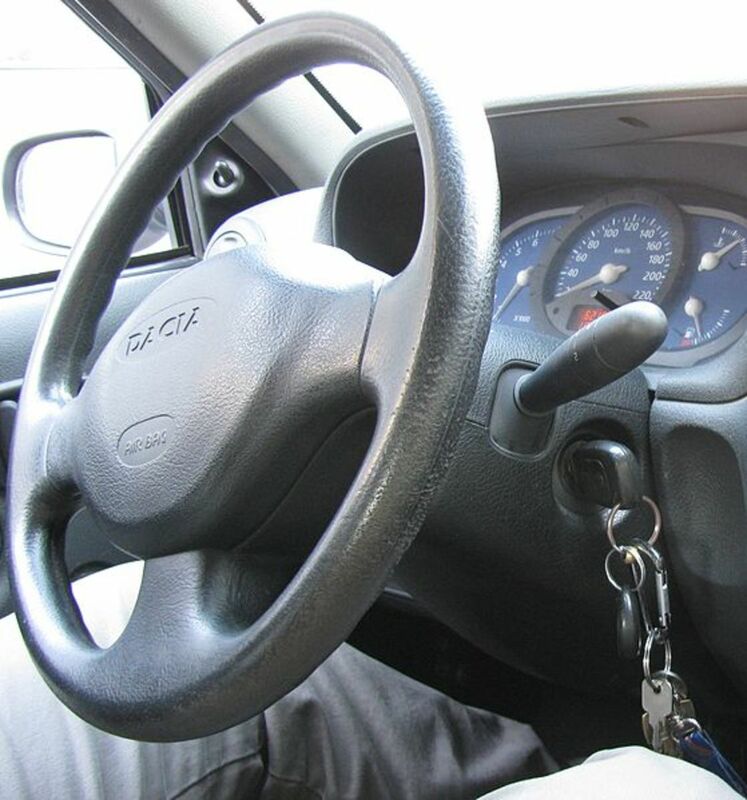 This is usually because of an imperfect seal on the battery and is often the result of buying a poor quality battery, but can also come from overcharging your battery or having an extremely old battery. 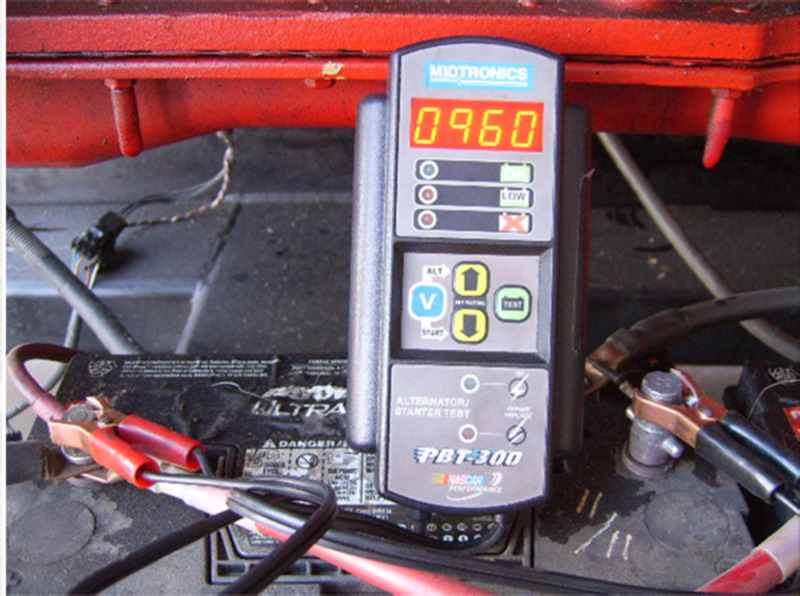 As discussed in previous articles, car batteries are generally expected to last only 2-5 years with reasonable care. 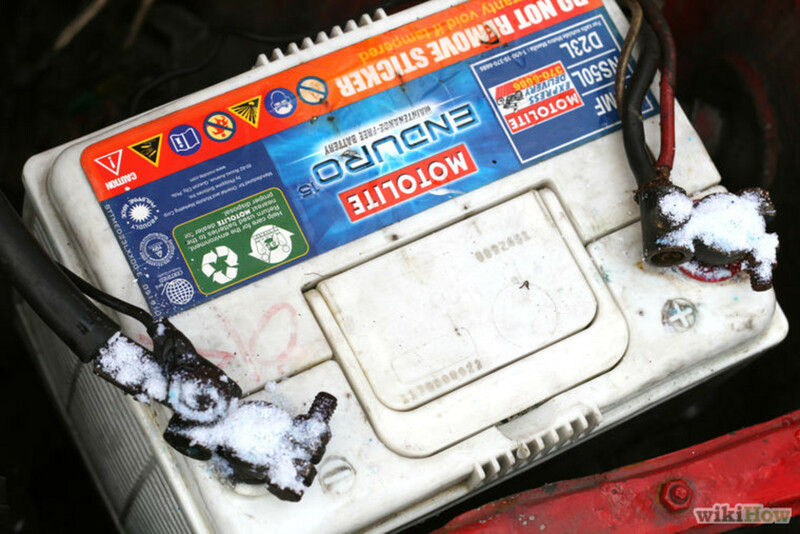 If your battery is still within this time, it's usually pretty easy to adopt grandpa's favorite method and brush those battery terminals regularly to keep the battery going. 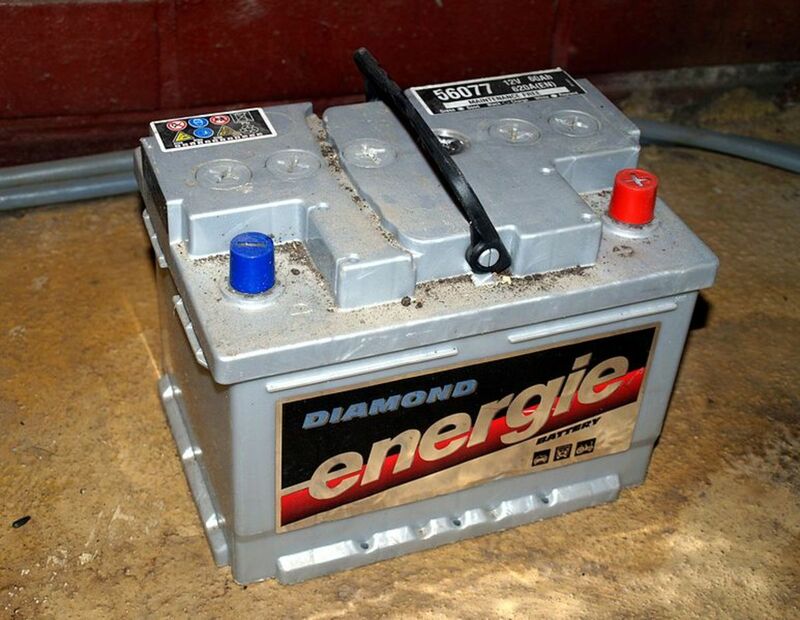 Cleaning your battery can mean touching a congealed form of battery acid, which can be extremely harmful to your skin. Everyone reacts differently, so it's important to avoid the risk and WEAR GLOVES whenever you clean your battery terminals. Simply scrub the terminals clean with a specifically designed terminal brush, until you've gotten all of the corrosion. Mix up some baking soda and water to apply to a tooth brush that you can use to scrub the terminals clean. Pour diet cola on the terminals for a few minutes, then wipe away the corrosion. My preferred method is baking soda and water mix with a terminal brush, as that ensures that you've gotten your battery terminals as clean as possible. Use care when using cola to clean your posts. You want to ensure that it's sugar free and then you want to make sure to use it sparingly, as cola is so corrosive it can actually wear down your battery posts faster than the sulfation will. Once you've cleaned and beautified your battery terminals, it's important to think about your battery's maintenance needs from here on out. 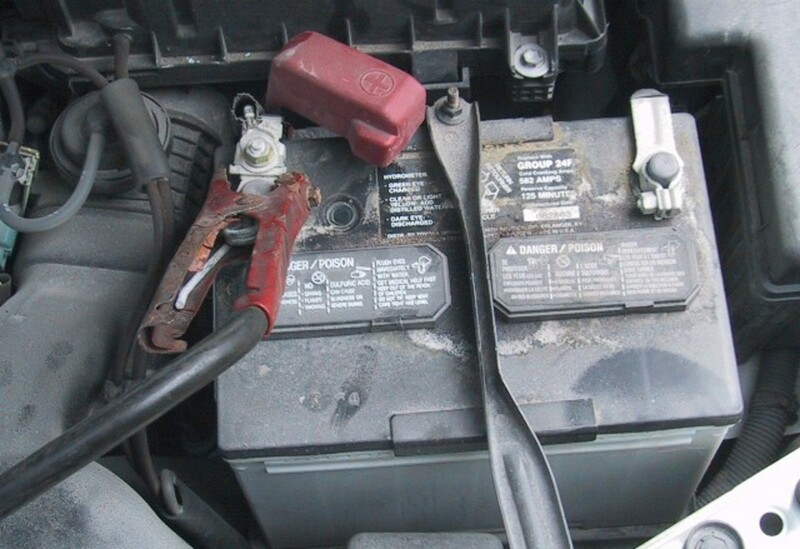 A battery with corrosion forming on it is a battery that is slowly losing its life. That means that if you want to prolong that life, you'll need to take extra car to keep that corrosion from building up. A regular cleaning once per month will work wonders, but you can also enhance your battery's life by purchasing some extremely affordable anti-corrosion terminal washers or replacing your old terminal clamps with new ones that are more resistant to corrosion.